Nationwide -- MoneYatti luxury sneakers are handcrafted in Italy with the finest premium leathers, high quality kicks worth spending your money on. 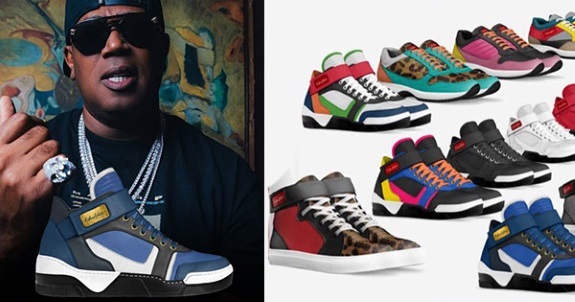 Founded by Percy Miller AKA Master P himself, MoneYatti has earned street cred from the culture of sneaker heads, celebrities and pro-athletes with their futuristic sportiness, color collaborations, contrast pops on the heel and toebox, creating a high-demand for the luxurious athletic fashion driven consumer. A shoe experience like none other, no more standing in line, delivering high-end footwear from Italy directly to your door. Master P comments, "MoneYattis are quickly rising to the top in the high-end designer footwear market with online shopping being the most convenient way consumers are purchasing our merchandise." A percentage of every MoneYatti sneaker sold goes to providing inner city kids in our communities with educational resources and programs to help build their futures. MoneYatti, the luxury brand that gives.